Japanese science committee questions the project’s multibillion-dollar price tag — but decision rests with the government. Plans to build a particle smasher in Japan to succeed the Large Hadron Collider have suffered a significant setback. An influential report by Japanese scientists concluded that they could not support plans to build the International Linear Collider (ILC) in the country. The facility has been decades in design and would study the Higgs boson, which was discovered in 2012 and is the last puzzle piece in the standard model of particle physics. The discoveries predicted to come out﻿ of the ILC would not fully warrant its nearly US$7-billion cost, said a committee of the Science Council of Japan in a report released on 19 December, according to press reports. As host, Japan might be expected to pay as much as half of the total. The committee, which advises the government, added that uncertainty about whether international partners would share the project’s costs increased its concerns. The proposed accelerator — which would be more than 20 kilometres long — would enable physicists to detect the products of precise collisions between electrons and their antimatter counterparts, positrons. The government will now use the committee’s report, which reflects the views of the academic community in Japan and not just those of high-energy physicists, to guide its decision on whether to host the facility. That decision is expected by 7 March, when the international group overseeing the ILC’s development, the Linear Collider Board, will meet in Tokyo. Physicists expressed concern at the committee’s conclusions. “This is very bad news, as this makes it very unlikely that the #ILC will be build in Japan — and probably at all,” tweeted Axel Maas, a theoretical physicist at the University of Graz in Austria. However, the committee did state that the scientific case for building the ILC was sound, says Hitoshi Yamamoto, a physicist at Tohoku University in Sendai, Japan, and a member of the ILC collaboration. It also acknowledged that the collider is seen in the particle-physics community as the top priority among possible future projects, he adds. The project now needs some good news, says Yamamoto. With funding tight around the world, “the situation for the ILC is getting worse rapidly”, he says. “A positive announcement by the Japanese government will reverse the trend and suddenly bring the ILC as the top item on the table,” says Yamamoto. Any concern that other areas of science in Japan could suffer if the costly project goes ahead is understandable, says Brian Foster, a physicist at the University of Oxford, UK, and part of the team designing the facility. But he says the council’s pessimistic take does not necessarily mean that the government will not support the project. “If the government wants to do it, it will,” he says. Japan is the only nation so far to show interest in the collider, and a decision on whether it will host the facility is long overdue. Japanese physicists pitched to the international community to build the facility in Japan in 2012, after scientists at the LHC — based at CERN, Europe’s particle-physics lab near Geneva, Switzerland — discovered the Higgs boson, a particle involved in the mechanism by which all others get mass. Physicists wanted to use the new facility to study any phenomena that the LHC might discover. They know that the standard model doesn’t account for all of physics, and they hope that unknown higher-energy particles could help to explain long-standing mysteries such as the nature of dark matter. But plans for the collider have stagnated because no nations have offered funding, and because the LHC has failed to find any new phenomena beyond the Higgs. In 2017, physicists scaled back their ambitions for the ILC, proposing a shorter, lower-energy design that would focus on the Higgs alone. To physicists, a ‘Higgs factory’ would still be hugely valuable. Because electrons and positrons are fundamental particles, their collisions would be cleaner than the proton–proton smashes at the LHC. By targeting collisions at the right energy, the planned facility would produce millions of Higgs bosons for studies that could reveal new physics indirectly, by exploring how the Higgs interacts with other known particles. Researchers in China, who have proposed building a 100-kilometre ring-shaped Higgs factory, will also examine the report carefully. They need funding from their own and foreign governments to build the facility. Although particle physicists would like to see both experiments built, international partners are likely to fund only one. So if the ILC receives the backing of the high-energy physics community, that could lengthen the odds on the Chinese collider being built — unless the country goes it alone. 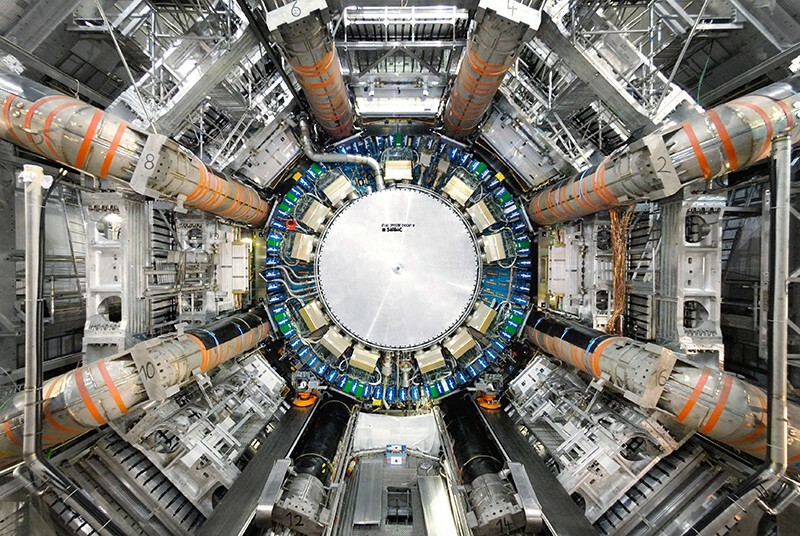 China, Japan, CERN: Who will host the next LHC?